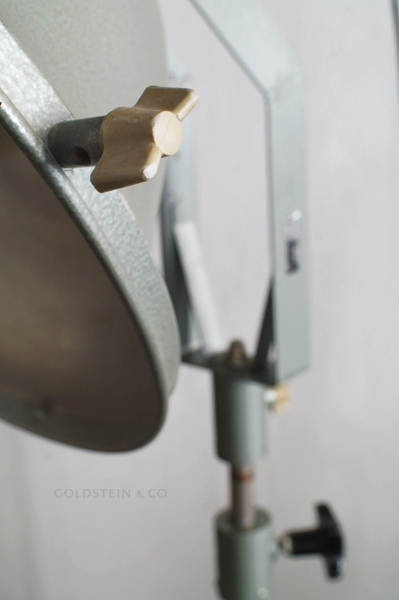 This spotlight is made in Leipzig by LBL (Leuchtenbau Leipzig), previously known as Körting und Mathiesen AG, the renowned manufacturer of Kandem light fittings. 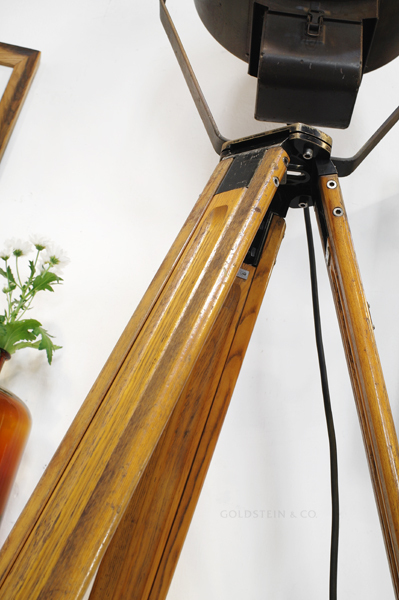 The spotlight is mounted on a vintage wooden tripod which was produced by the German company Askania. 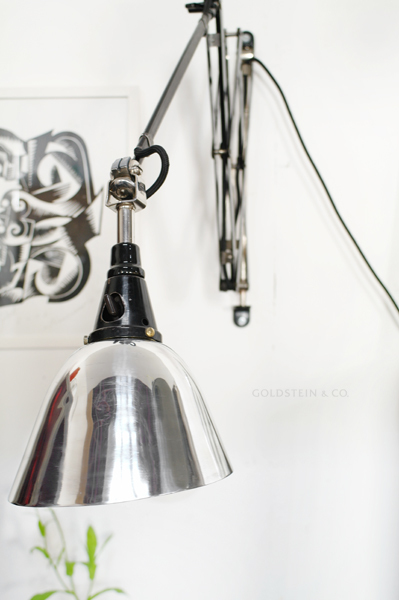 Rewired and fitted with an E40 socket for bulbs up to 1,000W. 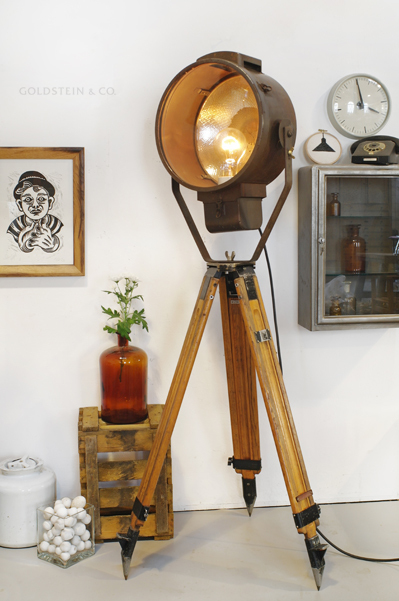 The spotlight features a dimmer. 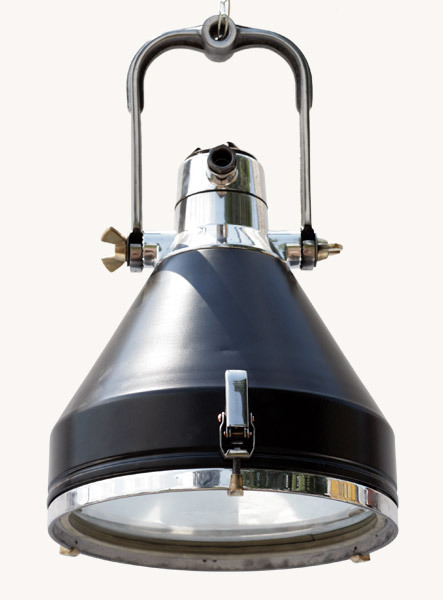 The Midgard lights were designed by Curt Fisher in the 1920s to improve the illumination of the work places in his own factory. 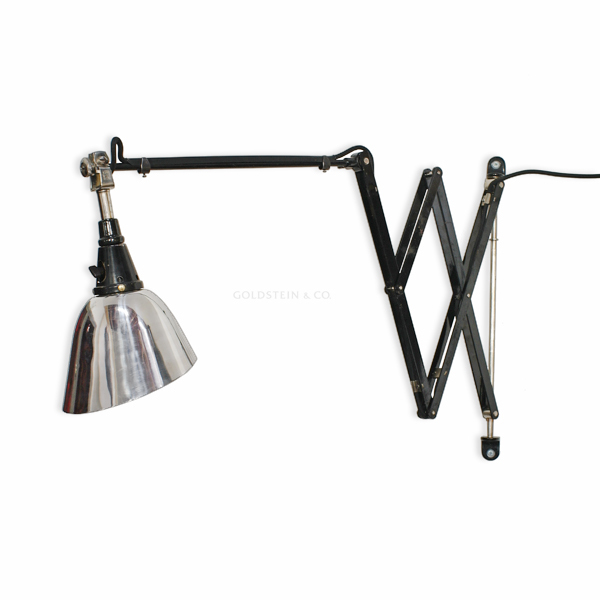 The Bauhaus master craftsmen soon perceived the ingenious design and superb quality of these work and desk lights and furnished not only the Bauhaus workshops with them, but also their private homes. 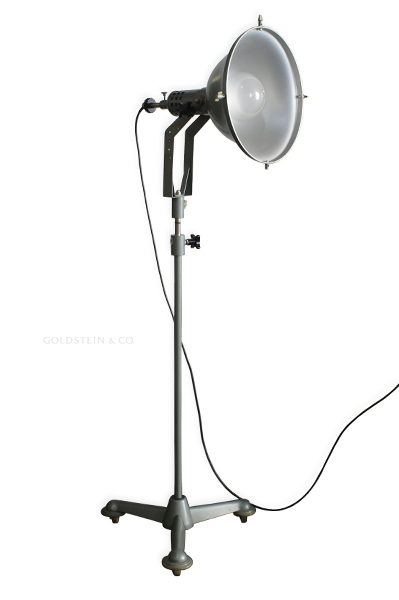 The Midgard lights thus became an inspiration to Bauhaus designers and students such as Christian Dell or Marianne Brandt. 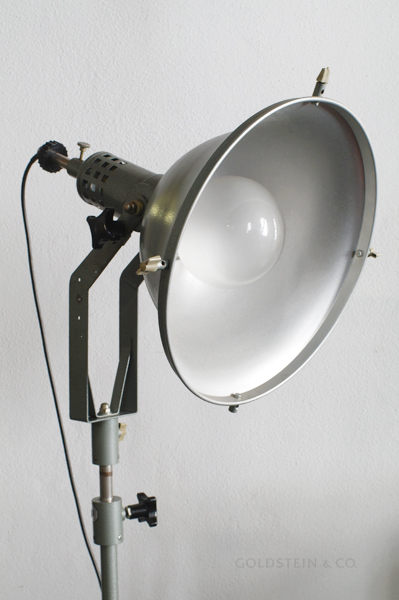 This original studio light was made by legendary Berlin lighting company Jupiterlicht, which specialized in powerful lighting for film sets and theatres. 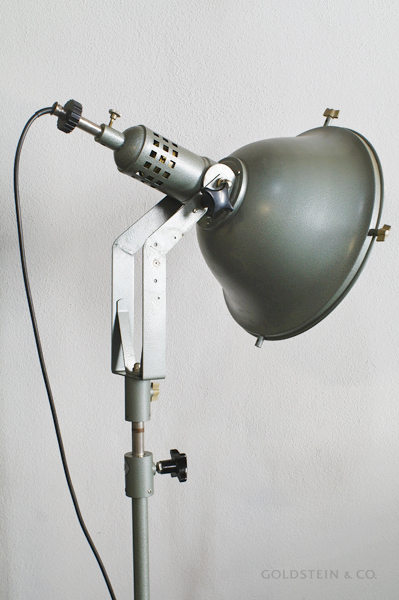 This very rare example is height-adjustable and also tilts and swivels, making it an ideal studio light. 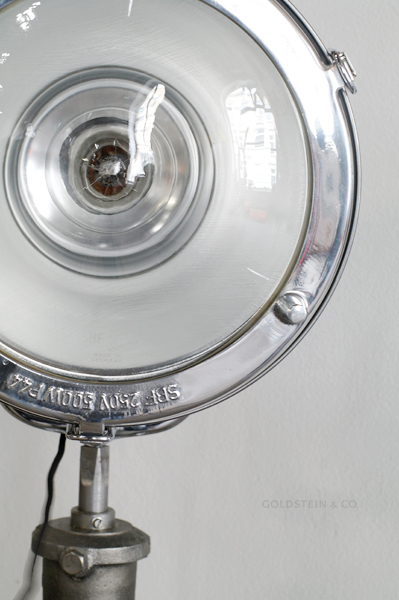 Apart from the electric flex, which has been replaced, the light is in original condition and still has its hammer finish paint and badge. 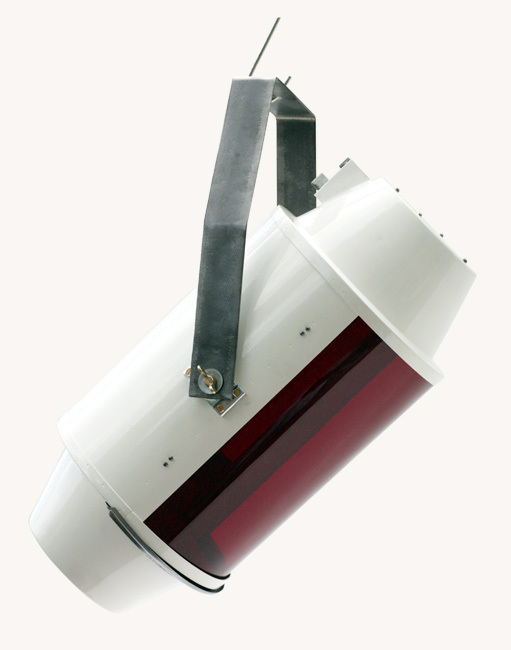 This spotlight produced in the 1930s/1940s was originally installed on a crane. 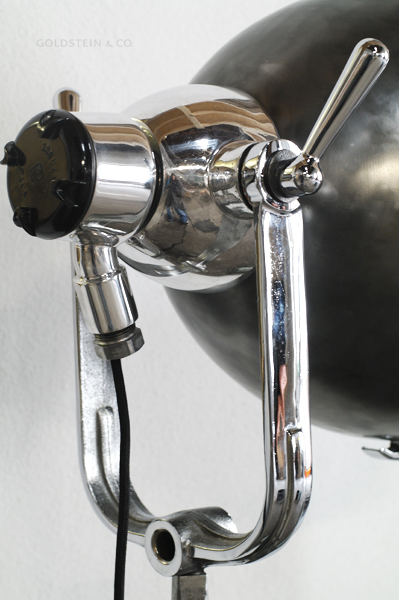 The steel components have been brushed, polished and chrome-plated, and the aluminum parts have been beautifully polished. 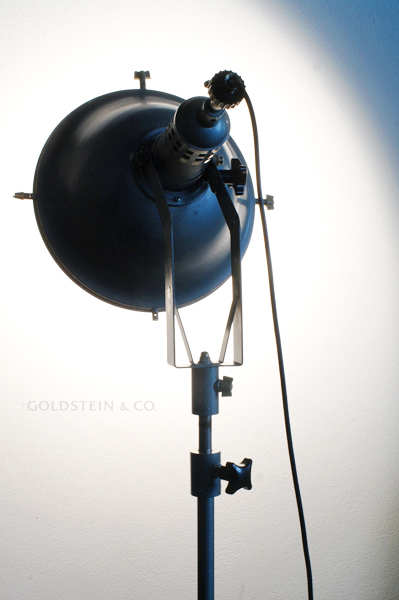 The spotlight has been mounted on a fin-de-siècle machine stand, which has been sandblasted, brushed and waxed. 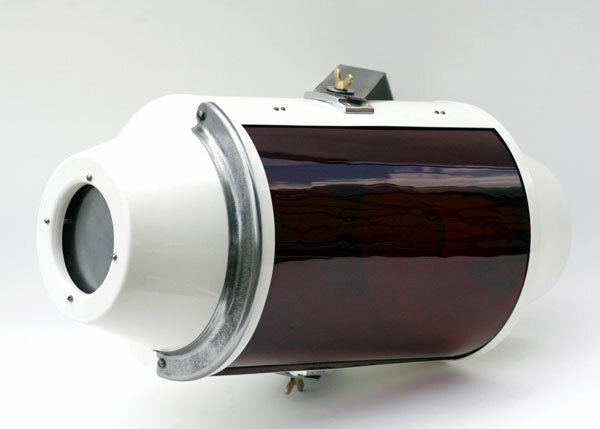 The only similar light we can find in the archives is black, although the description doesn't entirely match. 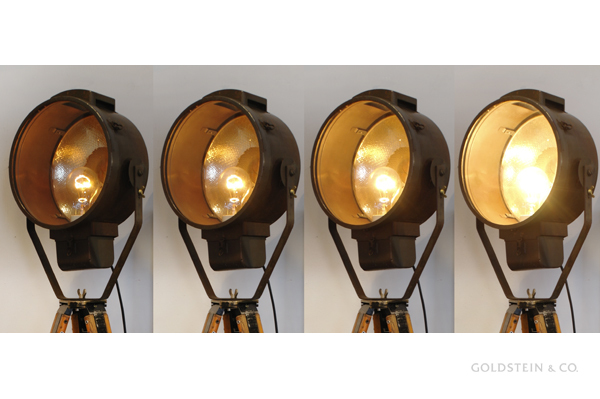 These lights were produced in the 1930s and 1940s. 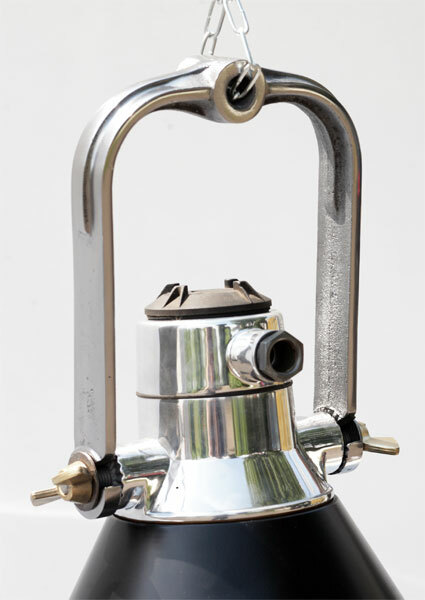 The aluminium parts are polished while the steel components are polished and chrome-plated. 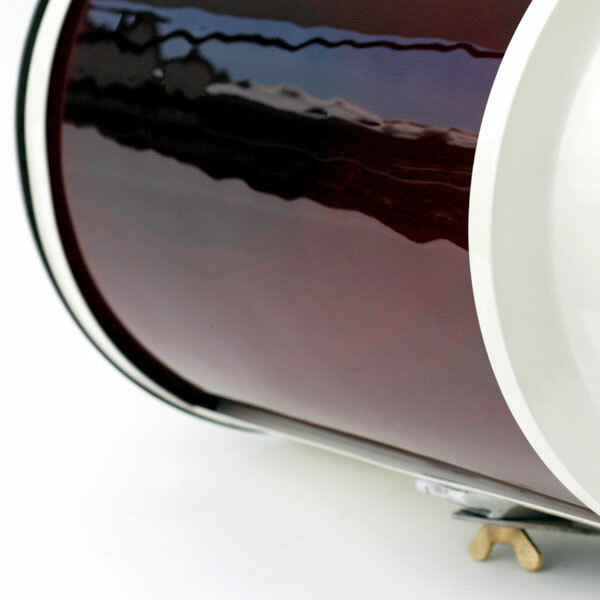 They have been powder-coated in RAL 3002 (carmine red). 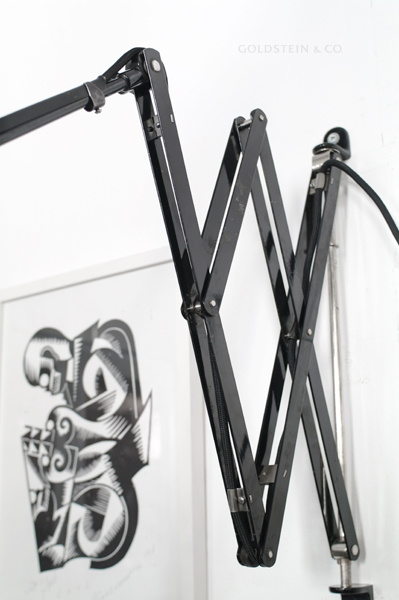 Like all our lights, they are supplied complete with a chain and flex. 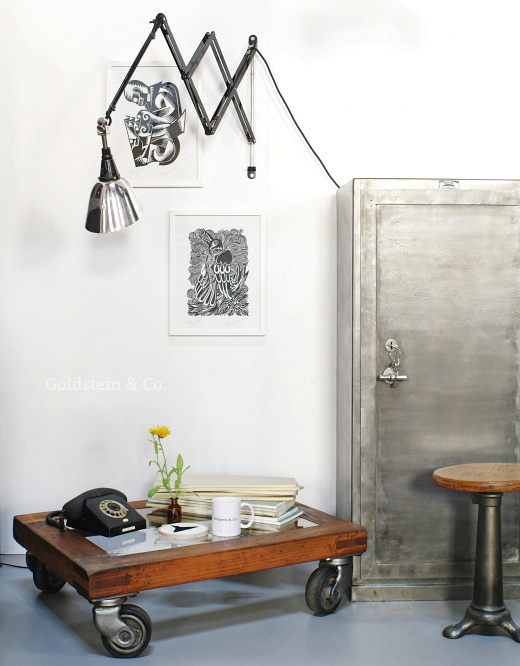 We currently have four pieces available. 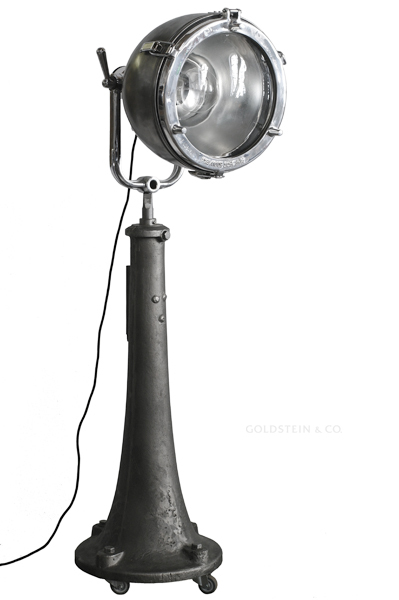 This rare stage spotlight with its extraordinary shape was made towards the end of the East German era. 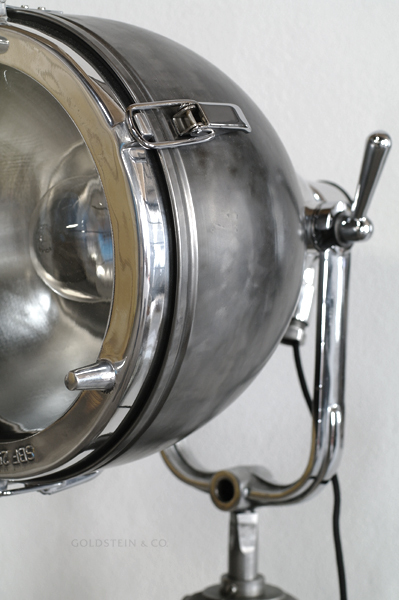 It was used for individual lighting at theatres, concert halls and discotheques. 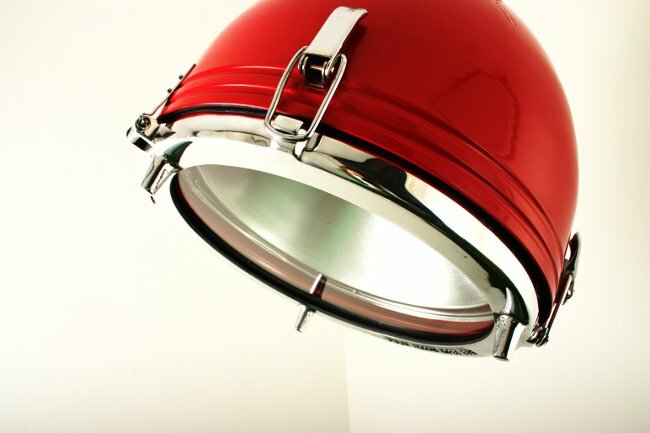 Featuring a magnificent piece of red curved glass, it can be mounted on walls or ceilings or alternatively suspended, making it very versatile. 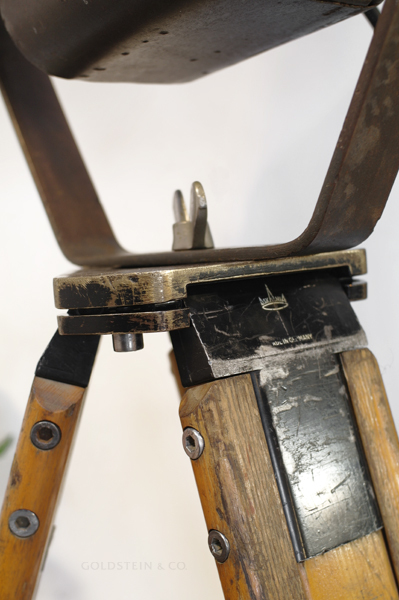 The body has been re-powder-coated in cream while the mounting shackle has been repolished. 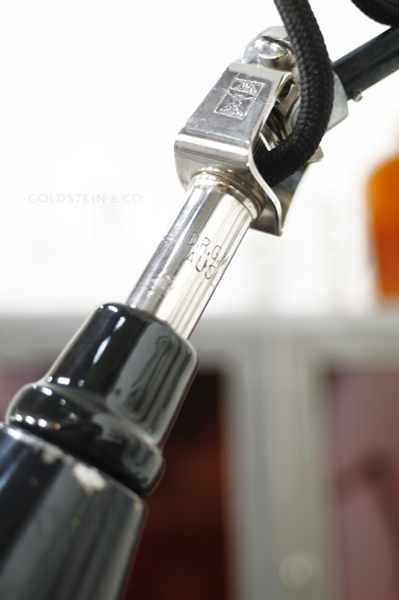 Comes with an E40 socket (adapter for E27 available). 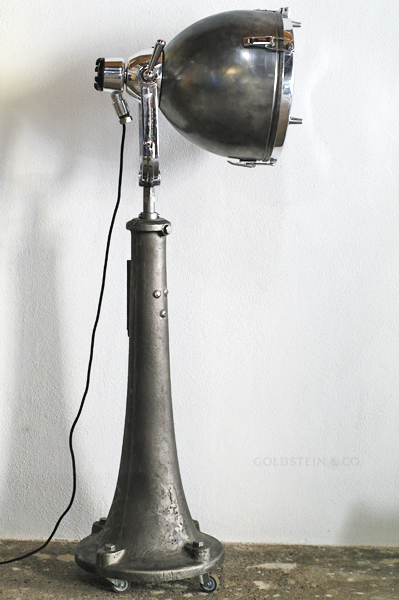 This rare stage spotlight with its extraordinary shape was made towards the end of the East German era. 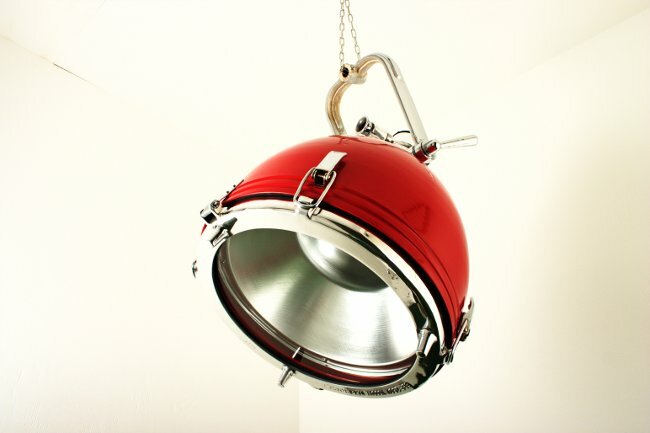 It was used for individual lighting at theatres, concert halls and discotheques. 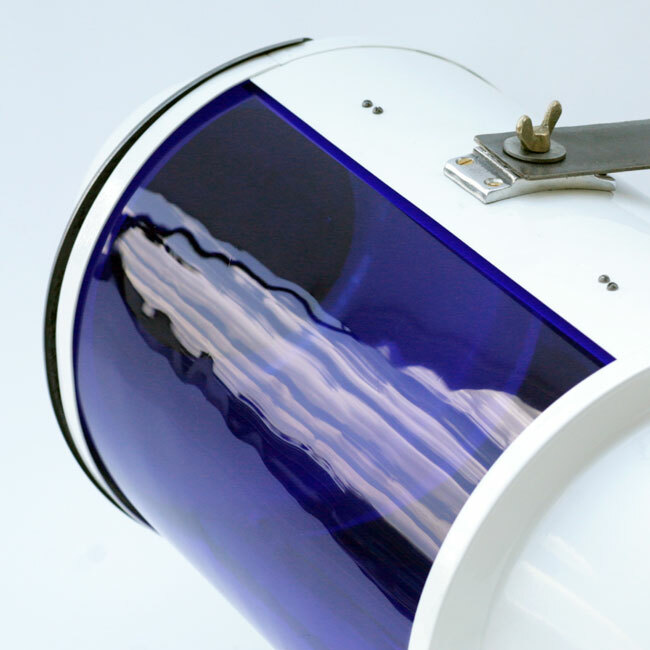 Featuring a magnificent piece of blue curved glass, it can be mounted on walls or ceilings or alternatively suspended, making it very versatile. 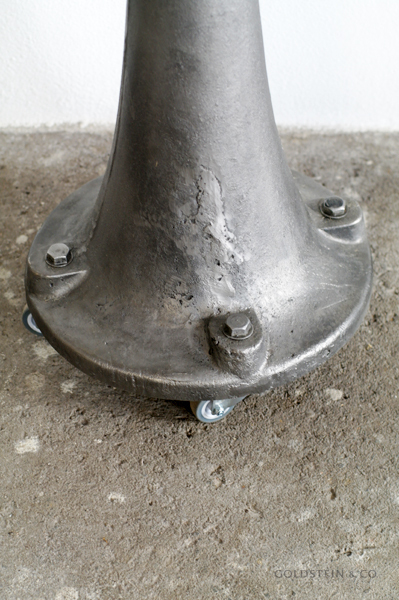 The body has been re-powder-coated in cream while the mounting shackle has been repolished. 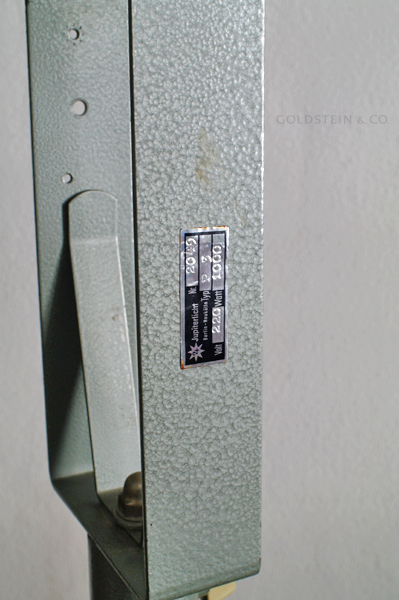 Comes with an E40 socket (adapter for E27 available). 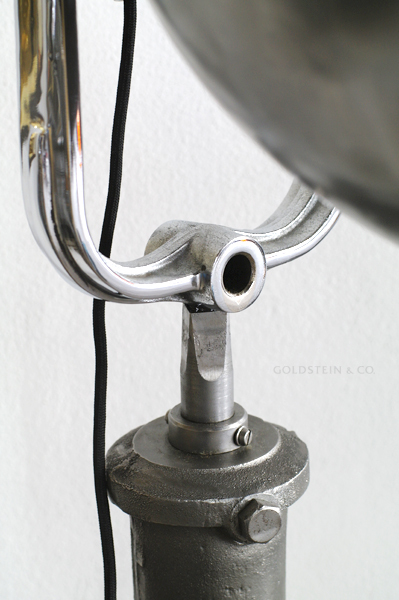 These East German adjustable spotlights were probably made in the 1960s and 1970s. 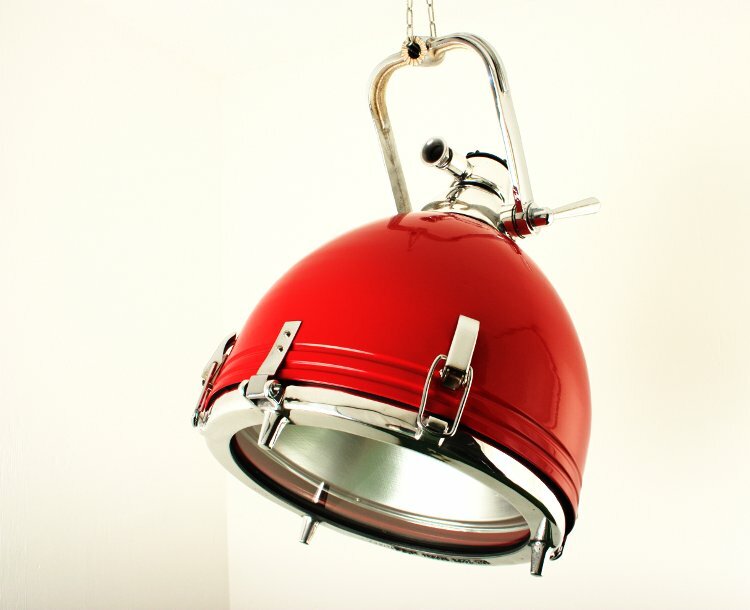 They were usually used indoors and out on cranes and crabs to light up working areas. 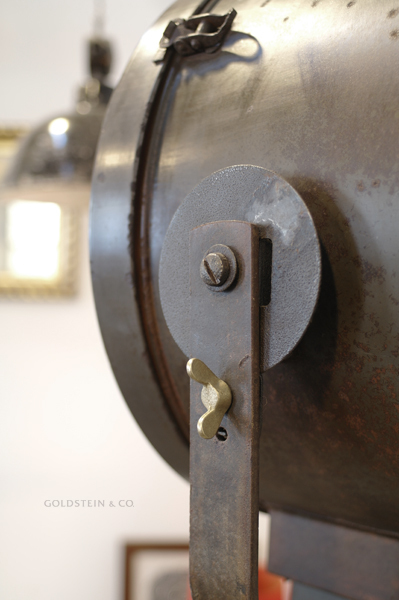 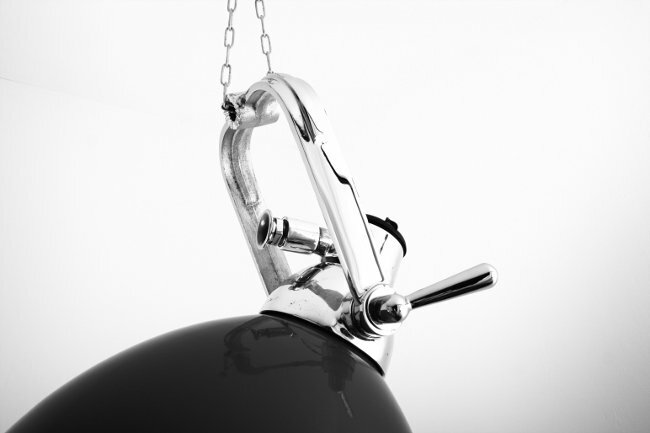 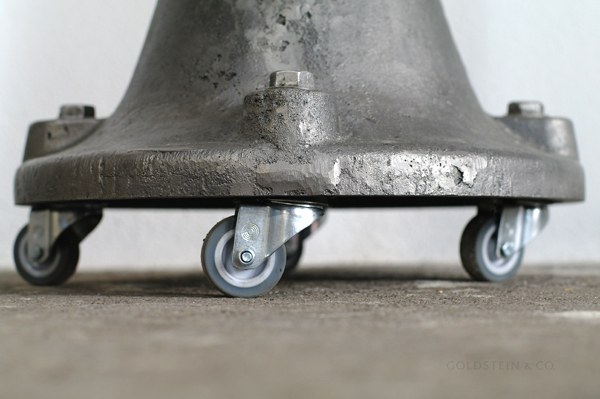 The adjustable mounting shackle is attached with brass wing nuts to a small metal dome positioned on the body. 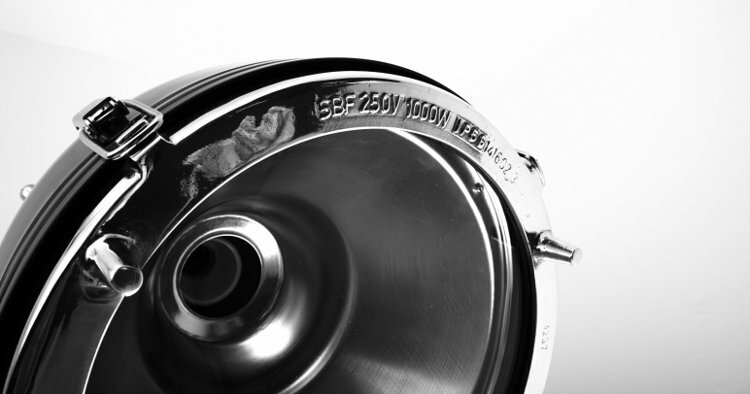 The glass disk is mounted in a cast aluminium ring secured by quick-release catches. 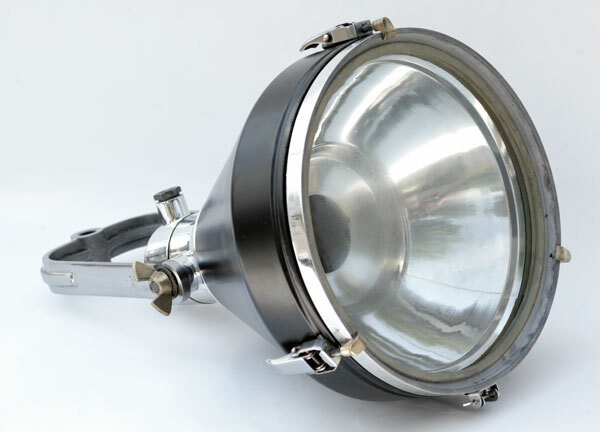 The internal E40 socket (E27 adapter available) is surrounded by a polished reflector for efficient lighting. 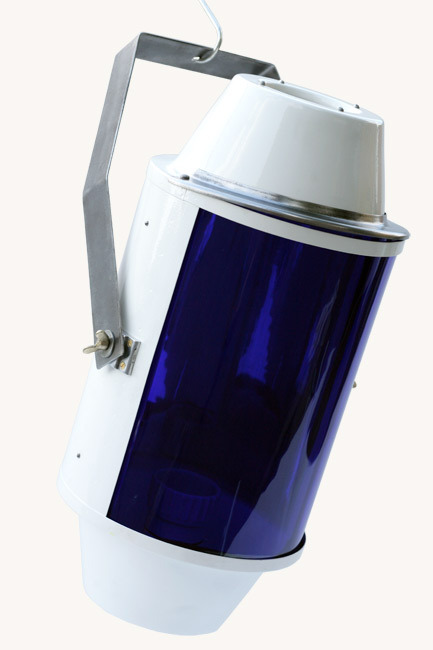 The appearance of the thin metal cone, which may contain scratches and dents, has been enhanced by black powder-coating. 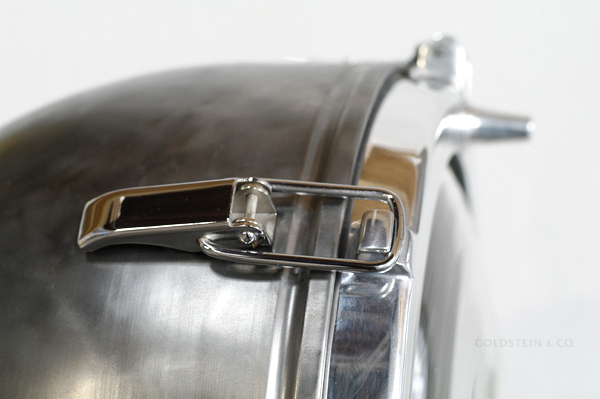 All metal parts have been polished to a high sheen. 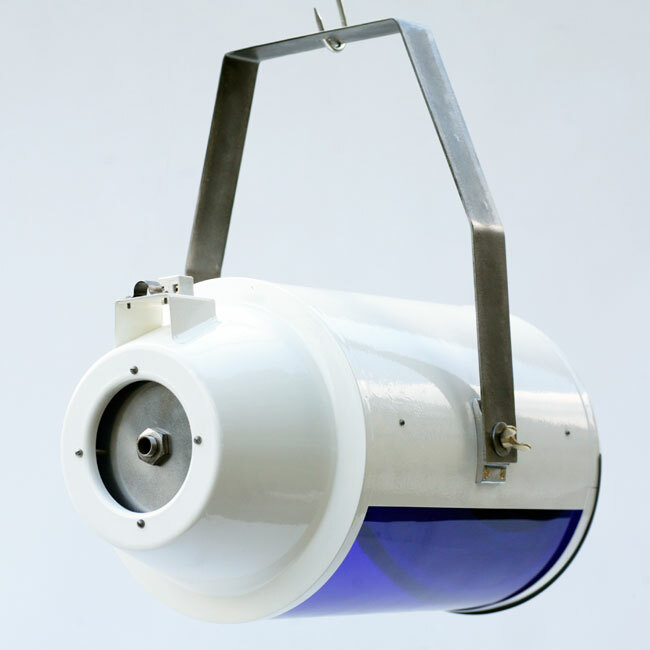 These spotlights can be suspended or wall-mounted.